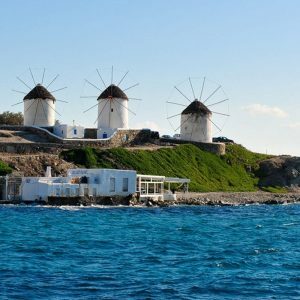 Greece Island hopping tours take you to a country of phenomenal cultural, historical heritage, amazing coastlines and remarkable beauty. Greece has over 2,900 islands, innumerable beaches and over 200 days of sunshine per year, so it is no wonder it is one of the most popular holiday destinations in the world. 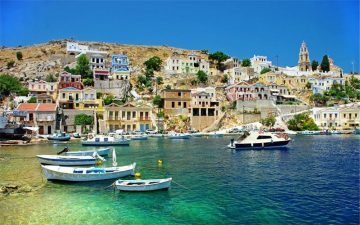 The islands that form the Cyclades sit in the middle of the Aegean Sea and are generally where most travellers tend to visit when in Greece. Each island is unique and offers flawless natural magnificence, history and adventure. 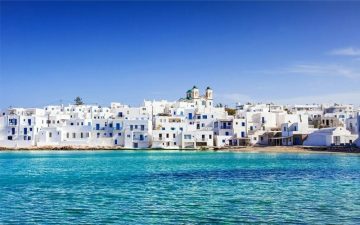 From the vibrant town of Mykonos where you can weave through the whitewashed streets and discover ‘Little Venice’; to experiencing one of the most vivid and famous sunsets in the world in Santorini, to letting loose in the renowned party island of Ios, a Greek Island hopping tour is a trip that won’t disappoint. 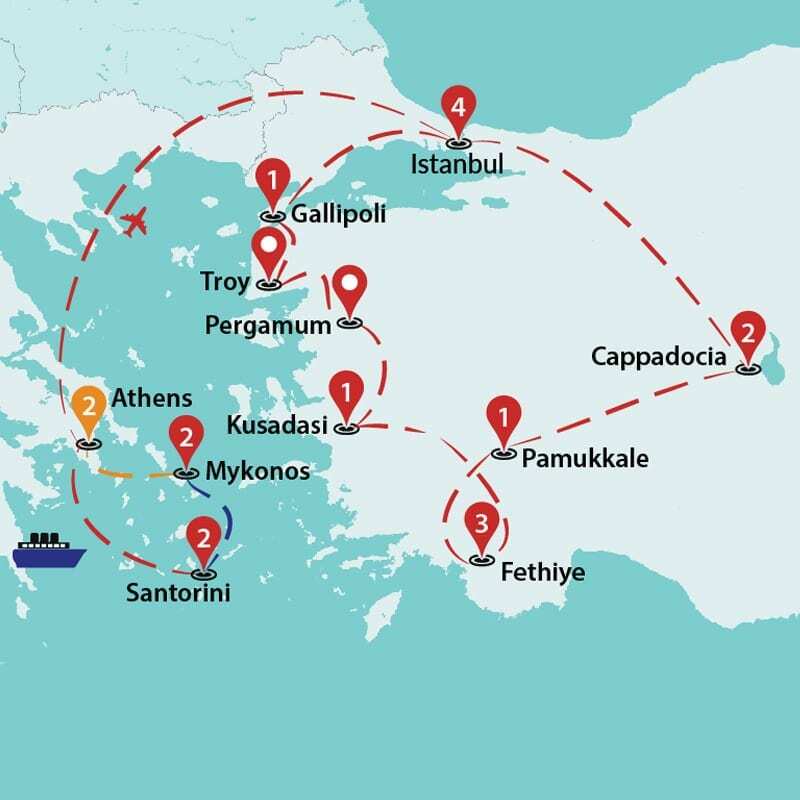 Grasp the profundities of Greek mythology and Ottoman history on a Greece and Turkey tour. 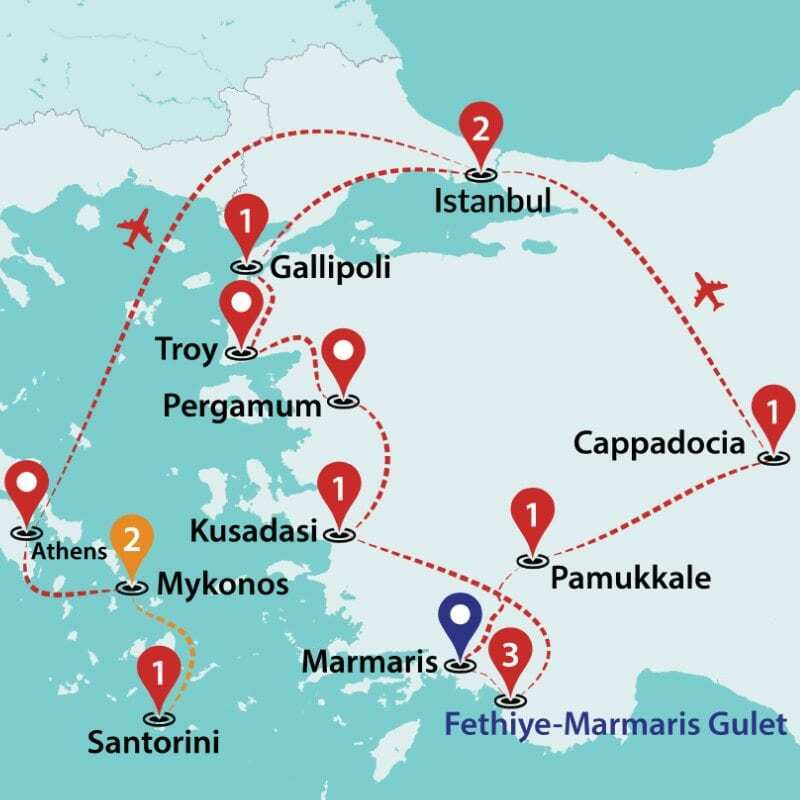 Visit Greece’s whitewashed villages, gobsmacking archaeological spots, stunning scenery and sapphire waters before embarking on Turkey; a country full of natural marvels such as Cappadocia, bustling cities, incredible mosques, ancient monuments and plenty of exploration. 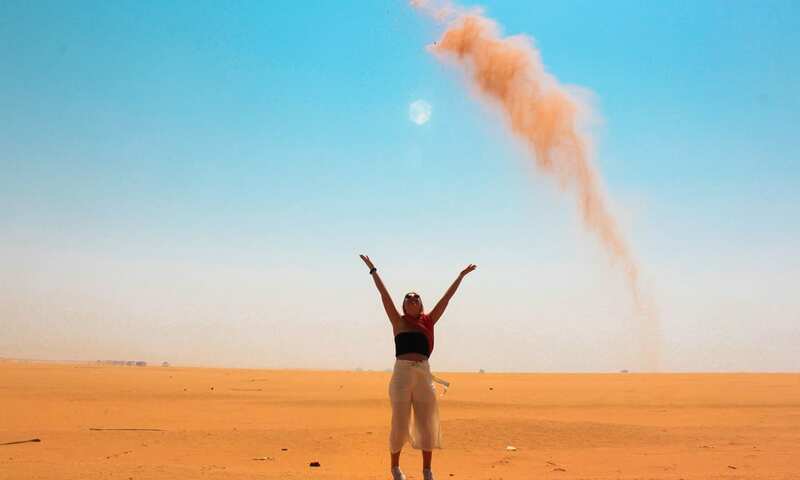 These are two countries that offer the full package; from natural wonders to cultural delights and will without a doubt satisfy any traveller looking for a tour that mixes relaxation with adventure. 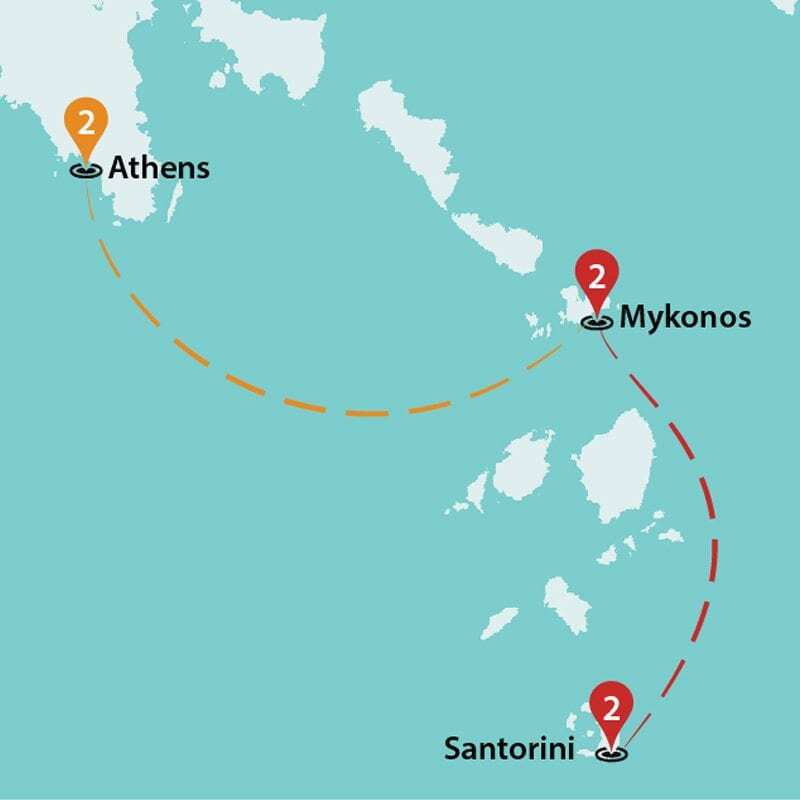 Discover the two most iconic regions of the ancient world that has shaped the world. 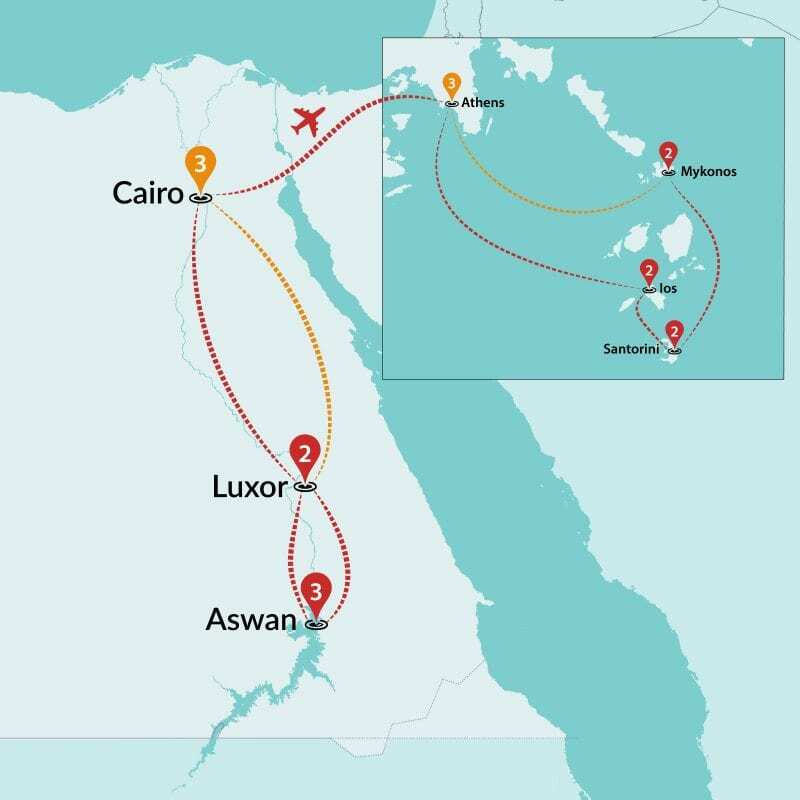 Join one of the action-packed Travel Talk Egypt and Greece combo tours to the two capitals of the ancient ages, oozing of unparalleled history and culture. 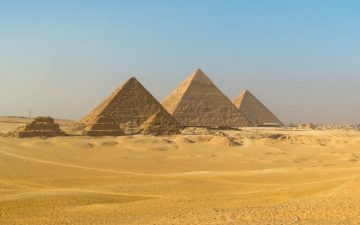 Marvel at the stunning Pyramids of Giza in Cairo, walk the path of the pharaohs at the Valley of the Kings, sail down the Nile like an Egyptian with breath-taking views of countless ancient temples. 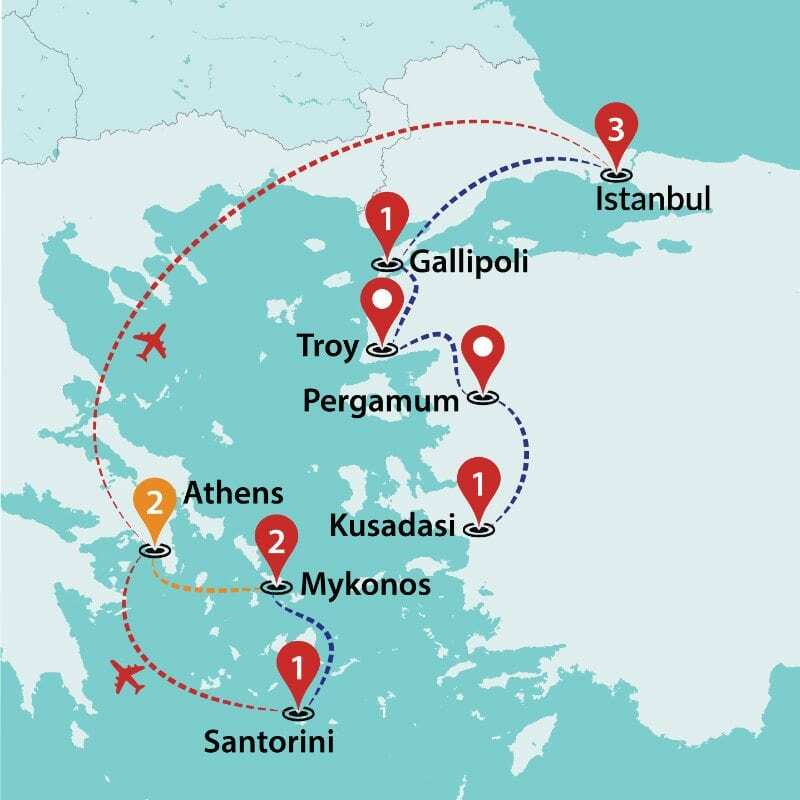 After cracking the Pyramid code, fly off to the intellectual heart of ancient Europe, Athens. 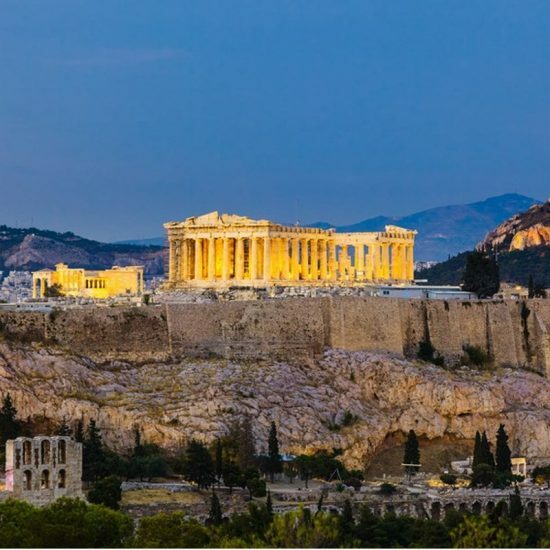 Climb the stairs to witness the ultimate beauty of Parthenon with a panoramic view of the beautiful town filled with a million ancient sites and amazing artefacts. 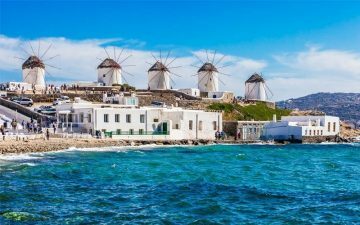 Hop on the ferry to roam the world-famous Greek islands of Mykonos, Ios and Santorini. It is impossible to pick a favourite. 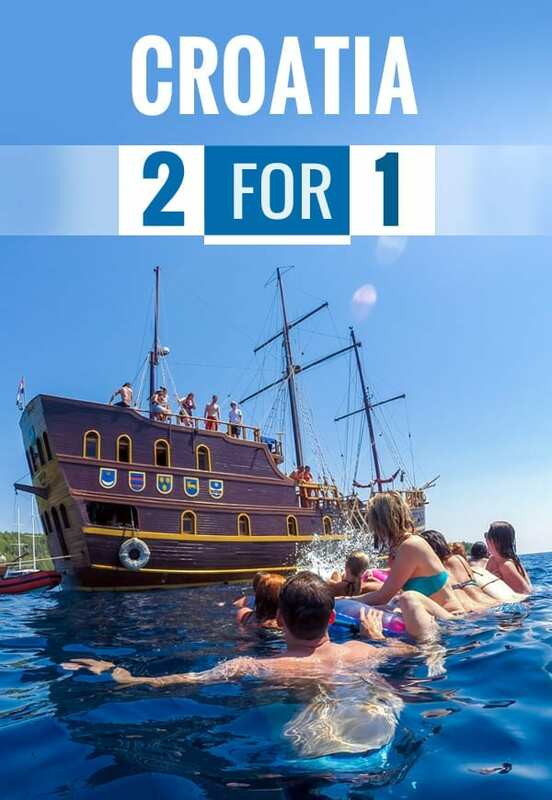 The perfect place for sea, sun & party type of holiday! 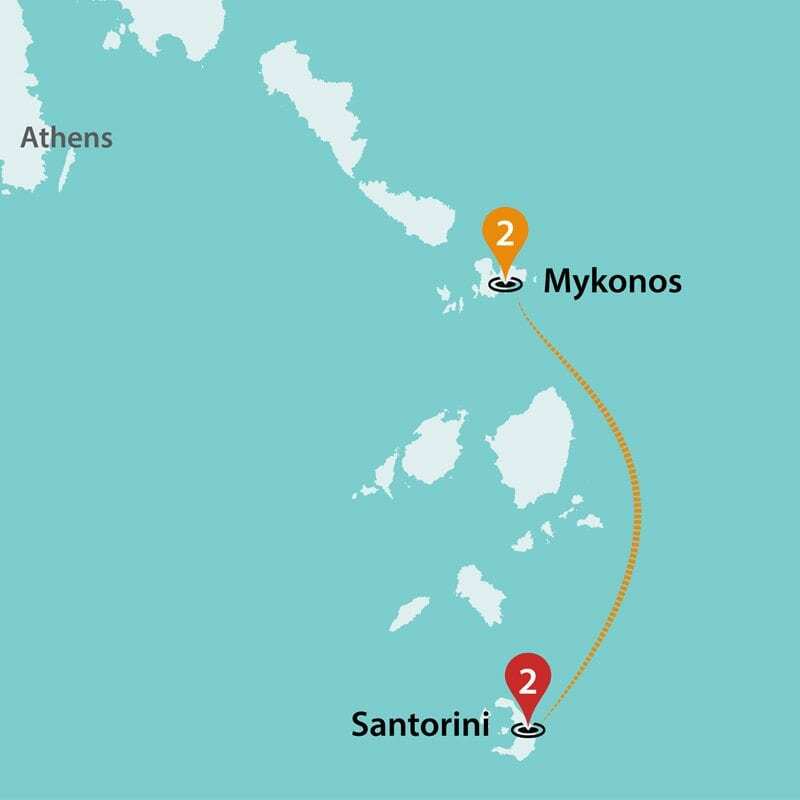 Don’t forget to visit the tomb of the famous Greek poet, Homer, before you get lost in the night. 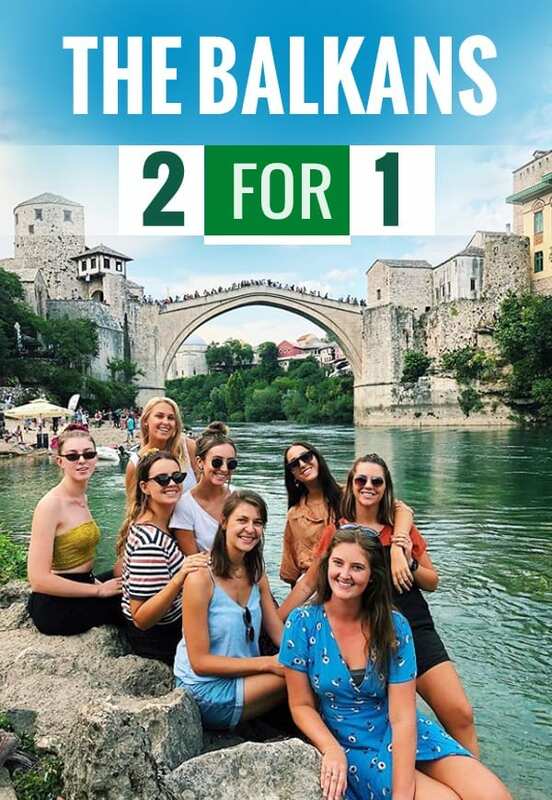 Would definitely recommend Travel Talk to others!! 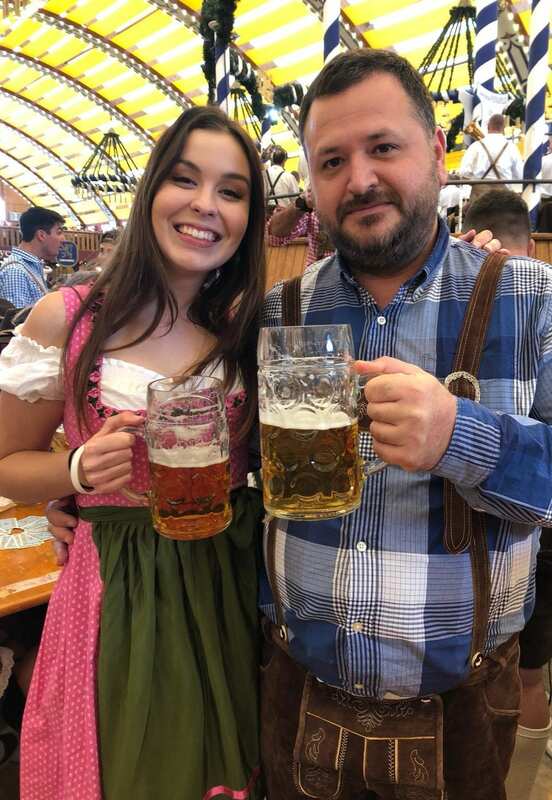 I had such an amazing time and met some awesome people. Costa was the best tour guide ever, he definitely made my tour more enjoyable by his outgoing, helpful, friendly and enthusiastic personality he had throughout the entire trip. 10/ 10 for Travel Talk and I’ll definitely be back for another tour with you guys. Great tour with easy convenience of travel. Everything is planned or arranged. Hotel accommodation is wonderful. Alex was wonderful, very knowledgeable with great advice. Great to meet likeminded people on the tour. 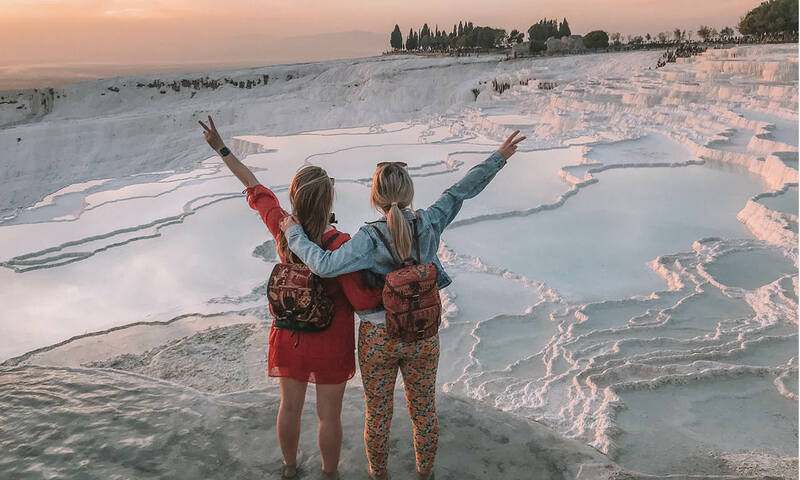 I would recommend Travel Talk to as the price is fairly reasonable and the flexibility of the tour to do what we want most of the time. Great tour and fabulous tour guide! Group size wasn’t overly big which was nice and really enjoyed the tour over all. I will definitely do another Travel Talk tour again. Tour was a lot of fun. Great balance of relaxing and seeing the sights. Alex was always very clear & concise as a guide which made the experience hassle-free. 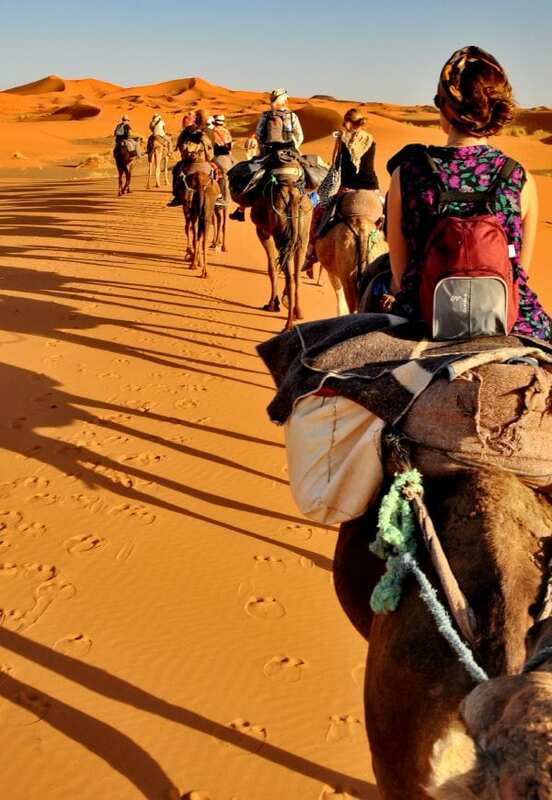 Would travel again. Kostas was an amazing tour guide, full of energy and excitement and did such an awesome job. He made sure he gave us a good balance of history and free time at each destination. 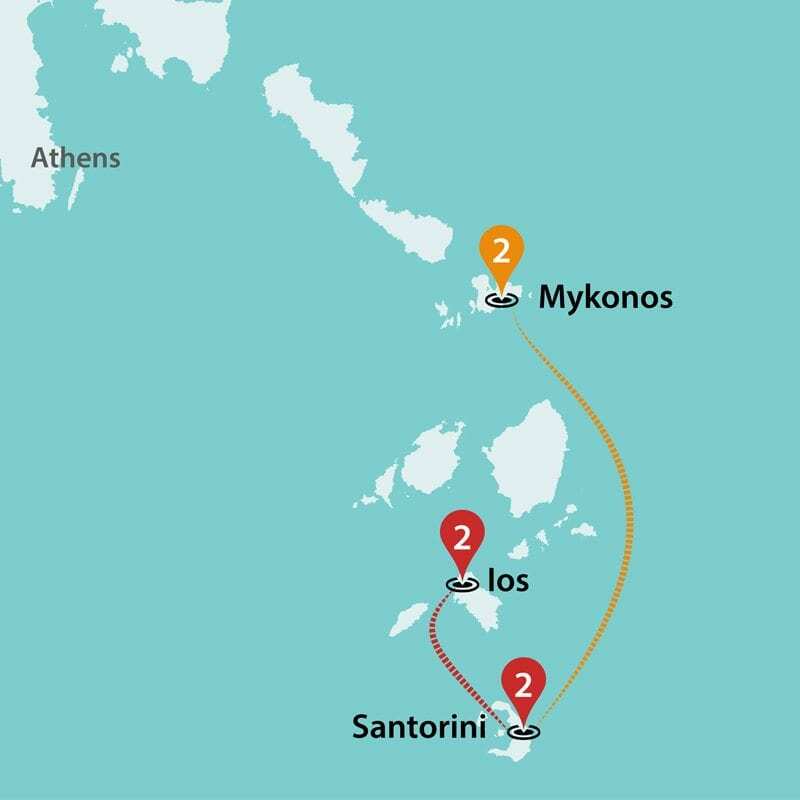 I will definitely recommend this tour and also Kostas as a tour guide to all of my friends. 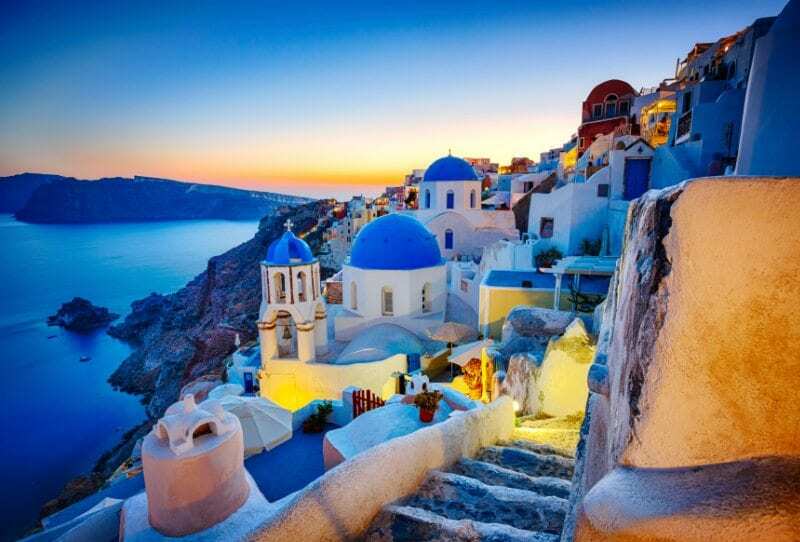 Thank you for making my holiday in Greece such an awesome experience. Due to Greece’s location, it is gifted with a relatively balmy climate. 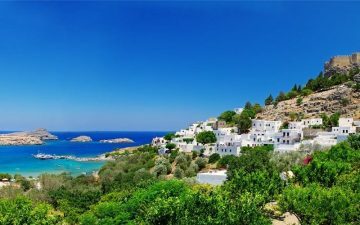 It has characteristic Mediterranean weather with scorching, dry summers and mild rainy winters. 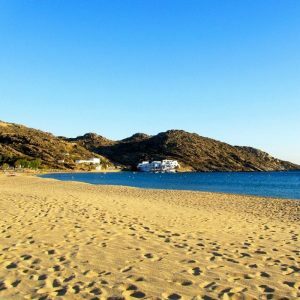 There are basically two seasons in Greece: hot and dry between April and September; mild and wet from October to March. 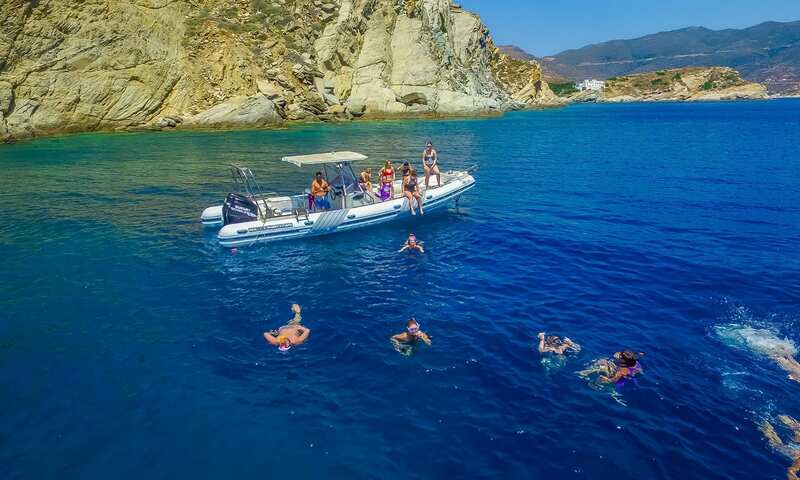 Between the months of July and August is when the Greek Islands are swarmed with tourists as there is plenty of sunshine, blue skies, beach opportunities and swimming sessions. Temperatures around this time of year are in the mid to high 30’s during the day and hardly ever drop below 20°C in the evenings. 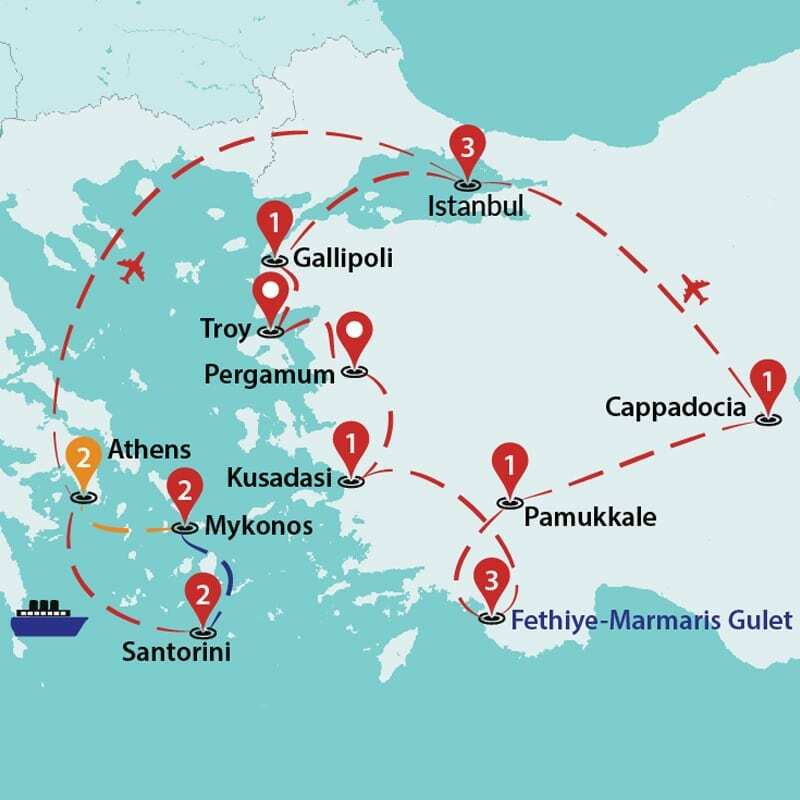 We closely monitor the latest travel updates to Greece and follow the advice of the UK Foreign Office. 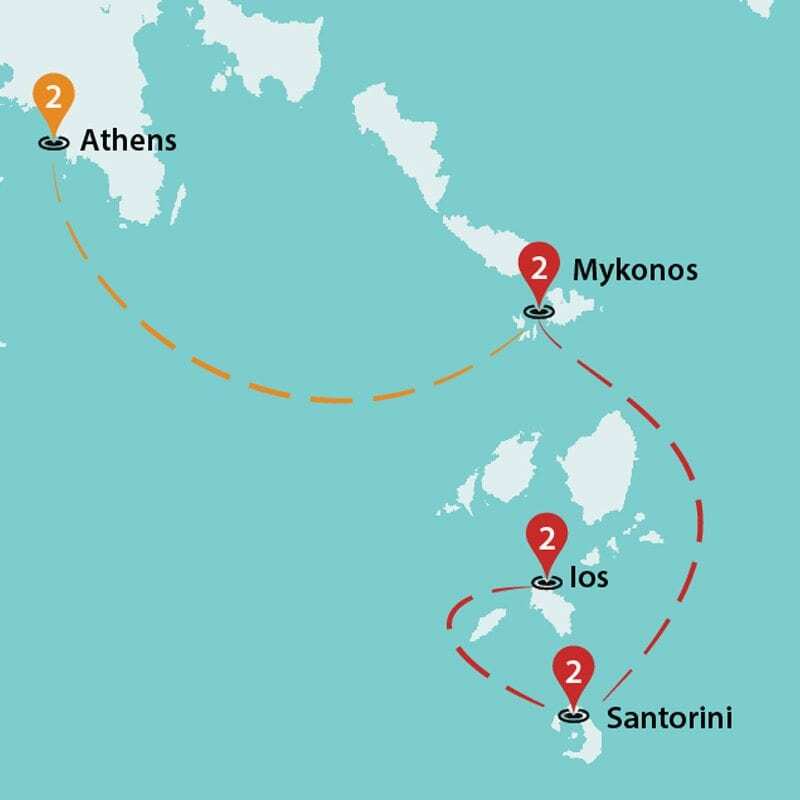 For the latest travel advice from UK Foreign & Commonwealth Office (FCO), please visit: https://www.gov.uk/foreign-travel-advice/greece. 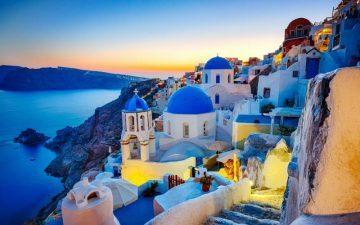 At present, Australian, New Zealand, British, American and Canadian residents do not need a visa for visits to Greece of up to 90 days. For all other nationalities please visit: http://www.projectvisa.com/. 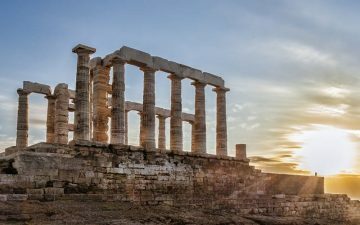 The culture of Greece has evolved over the years due to its location, the influence from other states and cultures and from the years of the various empires that ran the nation. 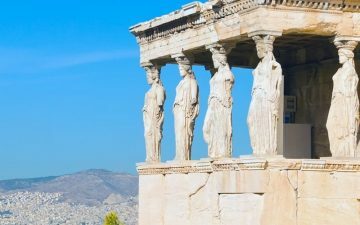 In ancient times, Greece was the origin of Western culture and established many fields such as physics, geometry and biology. 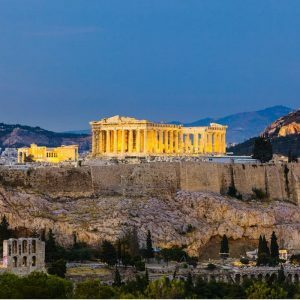 The Greeks are a friendly and curious bunch of people who are proud of their culture and speak of their country with passion. 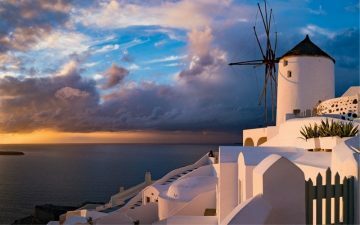 The religion that represents much of the popular is the Greek Orthodox Church and plays a vital part in everyday life for many Greek’s both in the villages and cities. 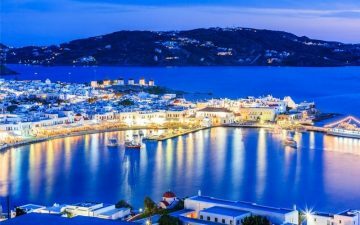 Family, music, food, religion and traditions are the foremost mixtures of the culture in Greece and establish the centre for those travellers who wish to visit Greece. 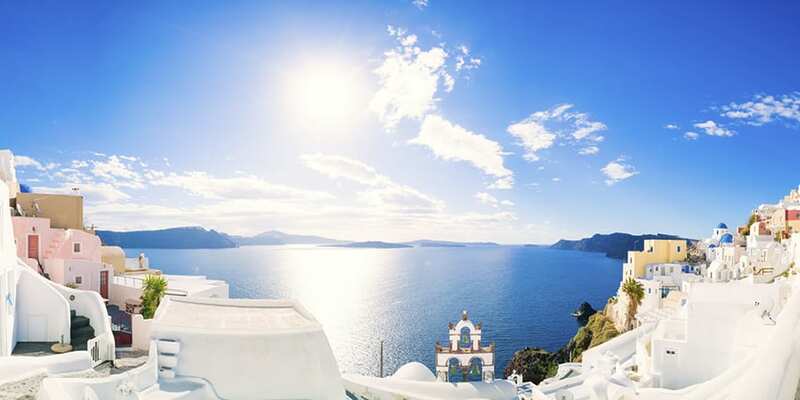 The Greek diet is very Mediterranean and traditionally includes plenty of herbs, vegetables, meat and seafood. 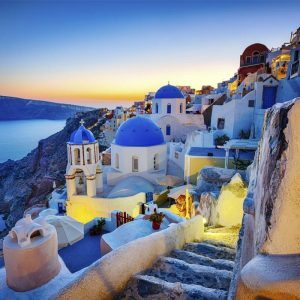 From street food to restaurant dining there are always plenty of delicious options when visiting Greece. 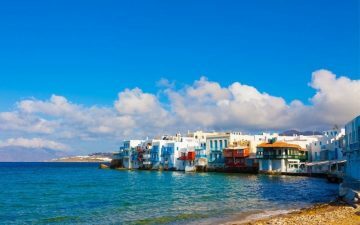 Moussaka, calamari, dolmades, souvlaki and gyros are just a handful of local popular dishes that you’ll encounter whilst visiting Greece and the flavours of these will not disappoint. Local wine and beer are readily available along with Ouzo. Ouzo is a sweet, strong alcoholic drink that has a distinctive liquorice taste. This is the national drink which means no visit to Greece is complete without trying it. 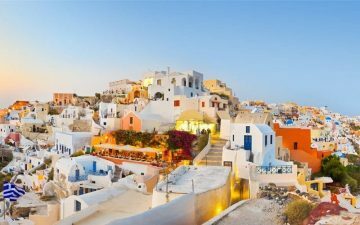 From jewellery and bags to antique and collectors’ stores, Greece offers plenty of treasures for travellers looking for something special. 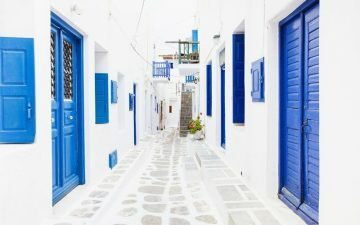 Whilst on a Greece tour, you’ll encounter many markets and stalls, which present plenty of unique and different items. You will also come across high-end boutique stores and shopping malls, which sell plenty of expensive items and are home to major fashion names. 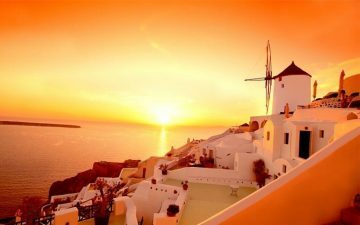 Easter: Easter is significantly the major occasion of the year in Greece, celebrated all over the country with fireworks, spit-roasted lamb and candlelit street parades. The first ceremony takes place on Easter Friday and finishes on Easter Sunday, and within this time plenty of feasting, ceremonies and celebration take place. 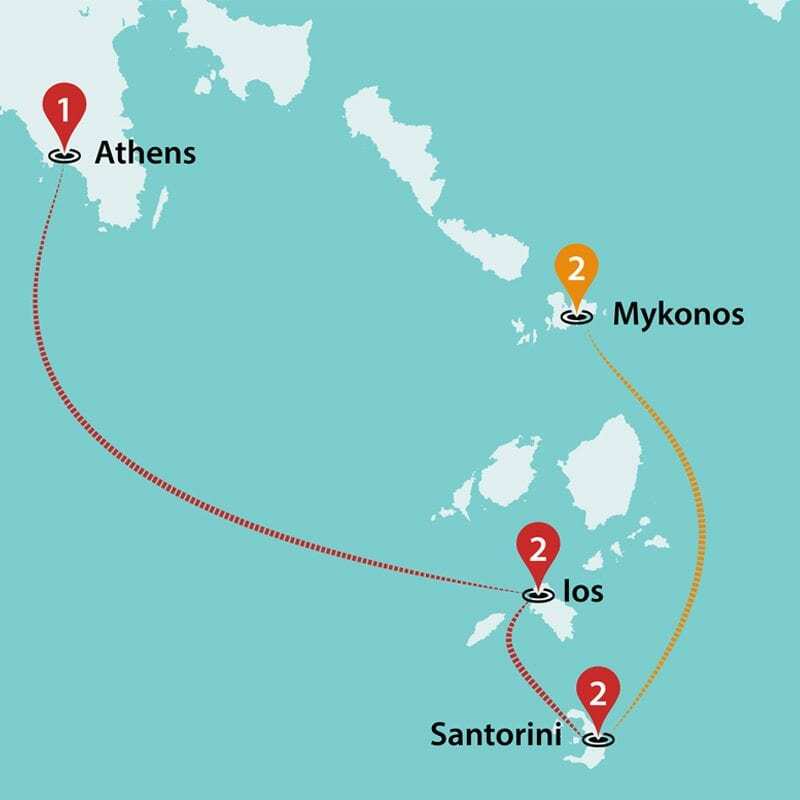 The date of the Greek Orthodox Easter is harmonised to the Julian calendar which means it may not match up with the Catholic Easter.Apokries (Carnival Season): Aprokries occurs three weeks prior to Orthodox Easter and is a time of colourful parades, plenty of feasting, costume and masquerades and games for both young and old. 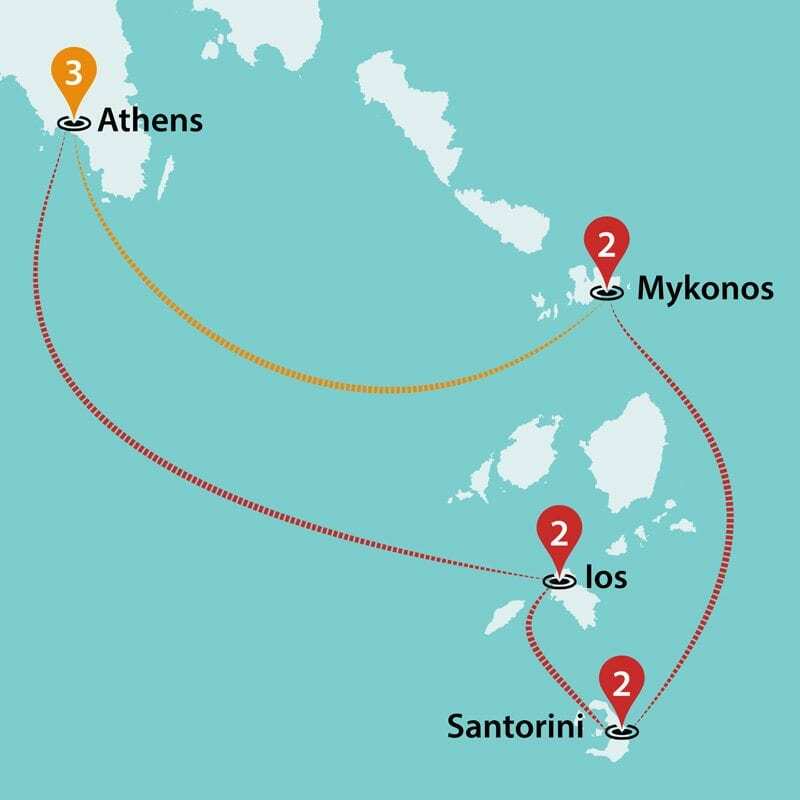 Greece’s carnival is one of the largest and utmost exciting in the Mediterranean with each town tending to have its own traditions and customs during Apokries.